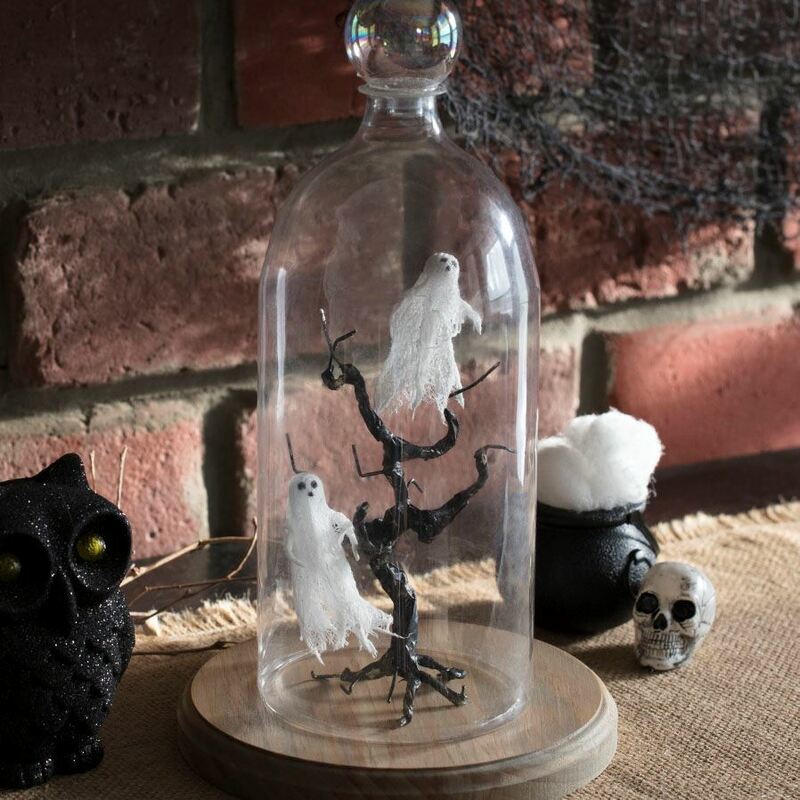 These DIY floating cheesecloth ghosts are the perfect addition to your Halloween décor! Not only are they fun to make, but it’s an adventure deciding where to place them. Suspend them from a ceiling, tree or place them on existing decorations. It’s easy. Just start with Aleene’s Stiffen Quik Fabric Stiffening Spray and then you can make them any size based on the sized form you use…anything from empty bottles lying around the house to old ornaments. Working on covered work surface, cut cheesecloth to drape over ghost form with enough extra to create folds and drapes. Spray cheesecloth with Stiffen Quick Fabric Stiffener to saturate. Drape over form and shape as desired. Add more cheesecloth drapes, spraying each with Fabric Stiffener, until desired effect is achieved. Allow to dry. Use Black Dimensional Paint to create ghost faces. Allow to dry. Remove form from inside ghost. 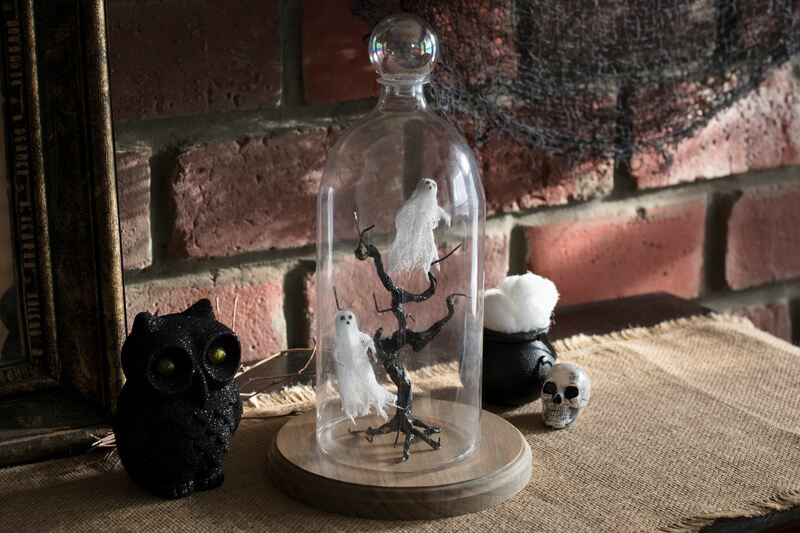 Display by hanging with string or on desired Halloween décor.